Cincinnati Children's now offers cardiology clinics in Louisville, Elizabethtown, Bardstown, Danville and Shelbyville for children with heart conditions and adults with congenital heart disease. 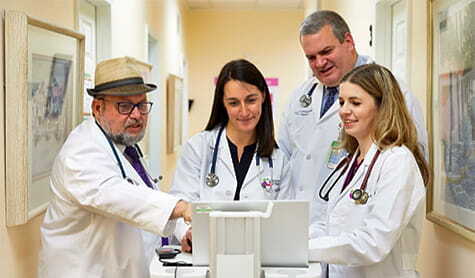 The practice is led by pediatric cardiologist Juan Villafañe, MD, who has been serving patients in this region of the Commonwealth for 32 years. Being part of Cincinnati Children’s will provide families with local access to world-class cardiology care. Cincinnati Children’s is ranked #2 in the nation in the prestigious U.S. News & World Reports’ 2018-2019 Best Children’s Hospitals ranking. The report also ranked Cincinnati Children’s in the top 10 in all 10 specialties, including pediatric cardiology (#8). In the spring of 2019, Cincinnati Children's will be adding new cardiology clinics and welcoming a new pediatric cardiologist. Meet Andrea Beaton, MD. Cincinnati Children’s welcomes new patients and is dedicated to making this transition as smooth as possible for current patients and their families. Please contact us if you have any questions. Our cardiology and heart surgery program are ranked among the best in the country by U.S. News & World Report.